Those of you who know The Magic Flute so well you can sing along to the whole thing will find your ears surprised by unfamiliar words at several moments in Seattle Opera's production. 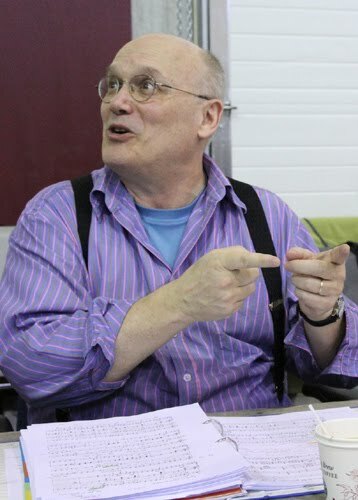 Our conductor for The Magic Flute, Gary Thor Wedow, has been in touch with British musicologist Michael Freyhan, whose book The Authentic Magic Flute Libretto: Autograph or the First Full-Score Edition? came out two years ago. Freyhan found alternate versions of the text for several passages in The Magic Flute in an early copy of the score, which Constanze Mozart, the composer’s widow, sold to the Elector of Köln, one of his patrons, shortly after Mozart’s untimely death. (There were two diverging copies of the score floating around Vienna in 1791 because after writing the music for Magic Flute, Mozart dashed off to nearby Prague to write and produce another opera, La clemenza di Tito; he left an incomplete Magic Flute score with his assistant, Franz Xaver Süssmayr, so Süssmayr could rehearse the vocal portions of the opera with the singers while Mozart was out of town.) Although Constanze indicated that the score she sold off in 1791 reflected changes made by Mozart during the rehearsal period, her version was discredited in the nineteenth century and the original disappeared during World War II. Oregon Music News spoke with Wedow about our version last week. 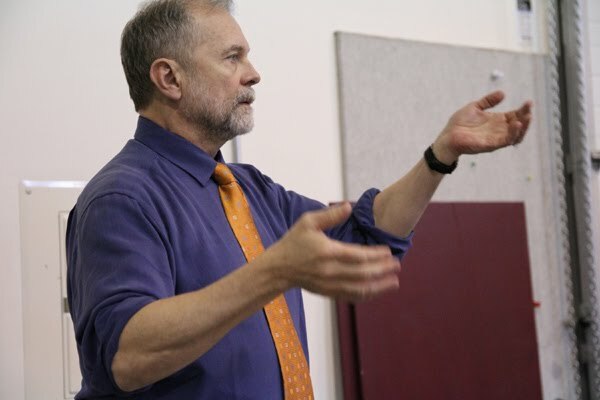 Although Freyhan’s discoveries have been heard in England, Seattle Opera’s upcoming production will be the first fully-staged Magic Flute to incorporate some of the divergent text. 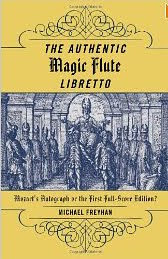 Wedow was convinced by Freyhan’s scholarship and struck by how much stronger some of the recovered passages are than what’s come to be accepted as the standard Magic Flute libretto. He proposed the changes to Director Chris Alexander (right, with score in rehearsal, photo by Alan Alabastro). Even though Alexander grew up with the standard Magic Flute and knows his way around it in the dark, barefoot, in the middle of the night, he was open to the idea of using some of the alternate versions. Several of the changes you’ll hear in our version are examples of madrigalisms--moments where a composer wrote music to illustrate specific words. (This phenomenon, also known as text painting, was extremely popular in the world of Renaissance madrigals, thus its name.) If you perform the music of a madrigalism, but change or rewrite the words, you miss out on the composer’s original intention. For example, early on in Pamina’s famous aria, “Ach, ich fühl’s”, the soprano sings a long melisma: a huge number of connected notes on the same word. Listen closely, or read our English captions carefully and compare them to your standard Magic Flute libretto, and you'll find additional examples of textual changes--improvements, we hope--in the charming duet for Pamina and Papageno (traditionally known as "Bei Männern," although in our version it begins with the words "Der Liebe"), Sarastro's beautiful aria "In diesen heil'gen Hallen," and several other passages. I hope the English captions match the libretto better in this production. Usually the English supertitles are changed for a more comedic or dramatic effect. As author of Seattle Opera's English captions, I'm not sure what you're after when you ask for titles that "match the libretto." Any phrase in any language can be translated dozens of ways into a target language. Writing English captions mixes the job of translator and interpreter. Yes, like a translator we work with a fixed text; but, like an interpreter, my goal is to facilitate communication between people, in this case performers and audience--thus the comic and/or dramatic effect of any phrase is taken into consideration. For instance, at last night's rehearsal we discussed Papageno's line in the Act 1 Quintet, "Daß doch der Prinz beim Teufel wäre!" Which is the best way to title this line? a) Literally: "If only the prince were with the devil!" b) Maintaining cognates: "The devil take the prince!" c) Idiomatically: "The prince can go to hell!" Given that you must read while listening to music and watching stage action, which approach is best? Which is closest to what Papageno would say, in your imagination?